However, one should not overlook was the rangefinders made by the British, who first started the wave of Industrial revolution and put consumer goods into mass production. 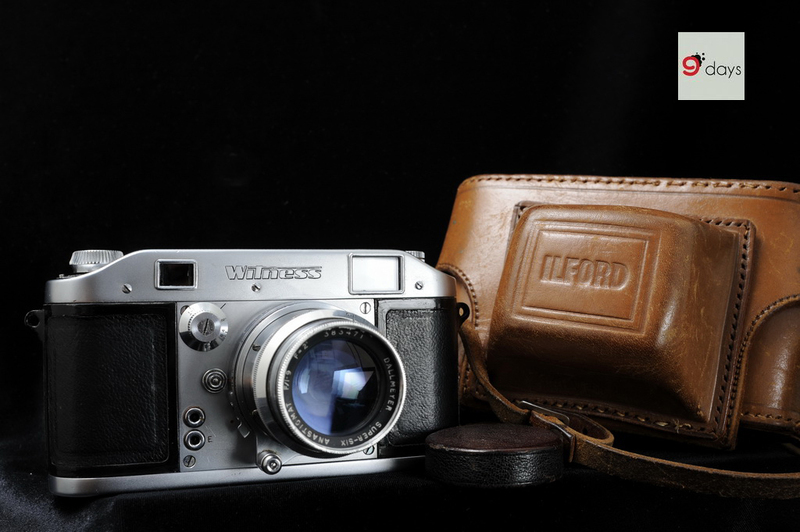 One classic not to be ignored in the history of rangefinder was Ilford Witness, which was unfortunate enough to make an impact in the post-war era. Well designed and undeniably handsome, Ilford Witness was somehow overshadowed by German’s Leica M3, due to many reasons which we will explain. The Ilford Witness was the joint effort of two German Jews exiled from war torn Germany. Robert Sternberg, an expert trained in optical design, used to work for Ernst Leitz GmbH since he’s eighteen. His partner Werner Julius Rothschild, who was an ex-employee of Zeiss Ikon Contax, approached Ilford Camera of Britain in 1946-47 with a Witness prototype. Rothschild was the owner of Daroth Camera Company. Rothschild requested Ilford to finance this project and put Witness into the market. Ilford accepted and announced the camera in 1947. 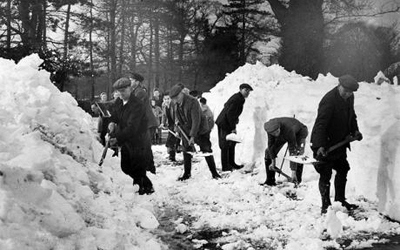 Caption:Photo taken in Britain with men clearing snow during the harsh winter of 1947. In 1947, Britain was enduring recession after World War II. Though the war was won by Allies, the British people’s livelihood did not improve much. The economy was worsening and the spending power among general public was very low. Under such adversities, Ilford still gambled on the Witness camera, based on the belief that Britain’s policy to slow down foreign imports after war would made high quality German cameras extremely scarce. 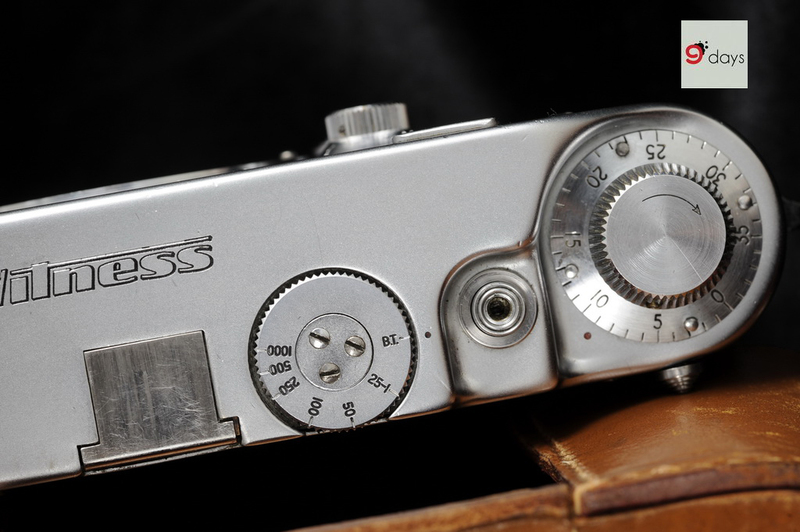 The professional grade Ilford Witness rangefinder, the only replacement available, was therefore expected to sell well locally. Unfortunately, Britain’s economy as well as Ilford’s investment did not bear fruit. 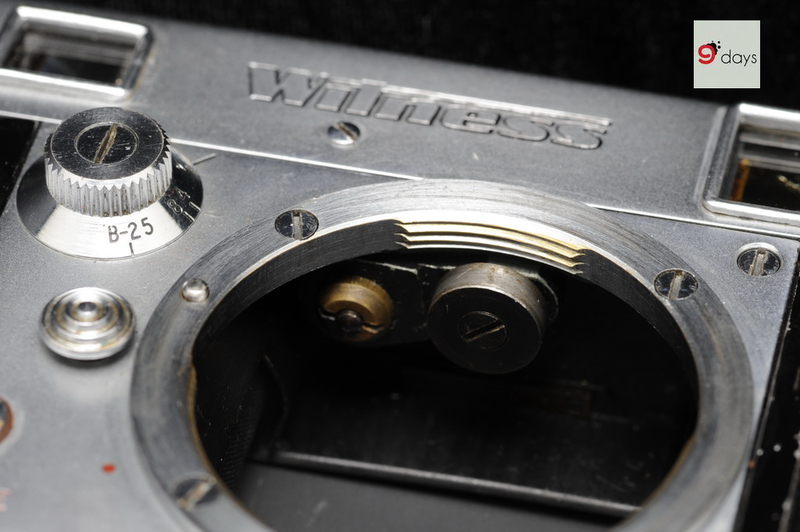 Production of the Witness camera was delayed until 1951, when the order of 250 rangefinders was at long last fulfilled. The Ilford Witness was finally launched to the market in the summer of 1952. 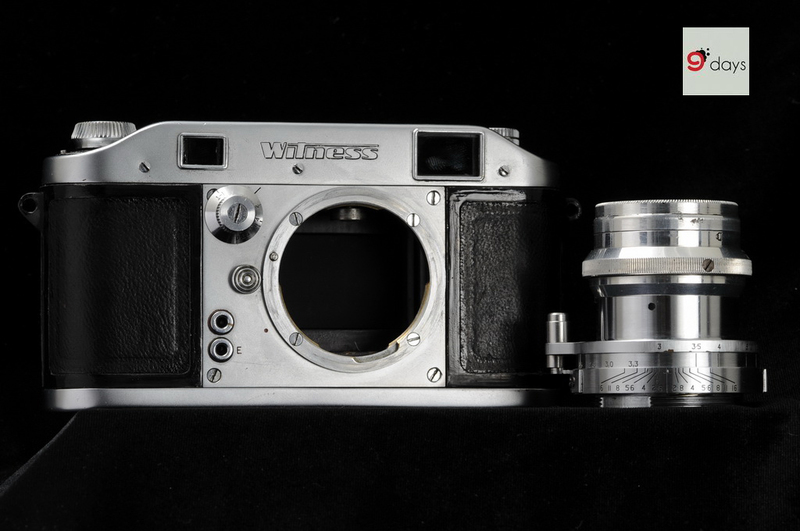 Ilford Witness had leading edge designs – built on chrome metal in nice finish, the rangefinder came with a standard Dallmeyer Super-Six 50mm/F1.9. Besides Dallmeyer it is compatible to Leica lenses with L39 screw mount. As shown in the picture above, the very unique “interrupted thread” on the Dallmeyer lens combine the attributes of a bayonet and a screw fitting. The two dials, one a larger dial on top plate and a smaller one on front plate (at the corner of the lens mount), control the shutter speed from 1 to 1/1000 s. The larger dial determines faster speed from 1/1000 to 1/50 s, while for slower shutters the larger dial need to be set on “25-1”, with the smaller dial then takeovers the control mechanism. 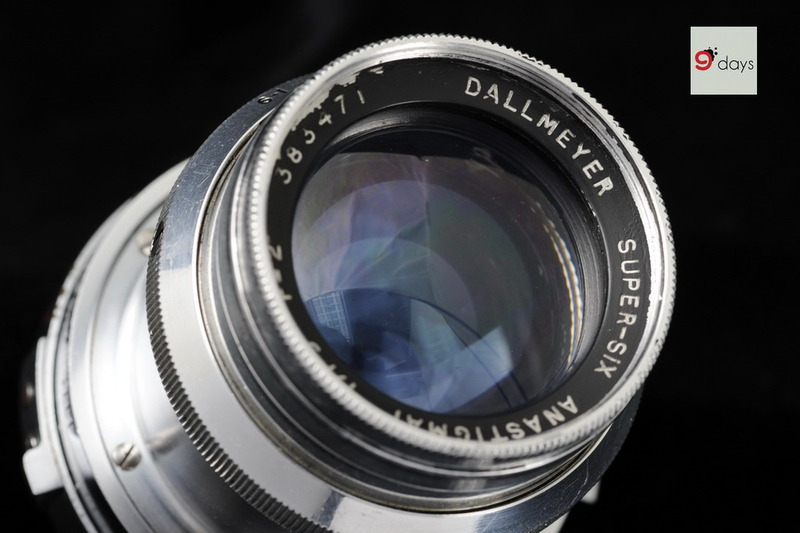 Slower speed is available at 1, 1/2, 1/4, 1/8 and 1/25 s.
Lenses from Dallmeyer made in Britain were considered of top quality comparable to Leica or Zeiss’ fastest lens. The 50mm/F1.5 “SEPTAC” lens usable in Ilford Witness was a stand out lens in the family. 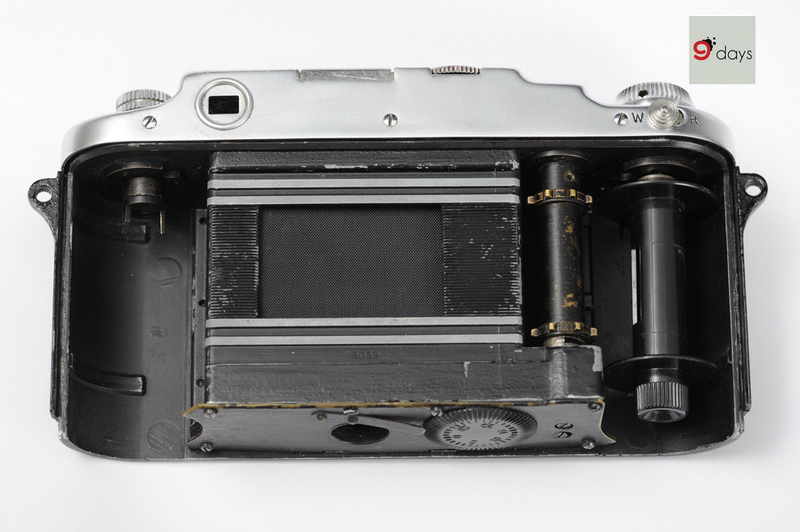 Ilford Witness was truly aimed to the professionals at that time – a special dial under the inside base enables the selection of the delay time between firing the shutter and the “closing” of the flash contacts to fire the flash. The time slot is adjustable from 0 to 0.03 s.
The rangefinder came with a brown, leather stitched pouch. The word “Ilford” was visible on the pouch. Strange enough, the camera body bears no marks of “Ilford”. The Ilford Witness is an ill-fated product. The delayed production did not help, neither was the asking price of the camera. It took more than two months’ salary for an averaged British worker to get one Witness camera at the cost of 121 pounds. Many years after, auction house Christie’s made assessment on the Ilford Witness and considered it the most expensive British camera in terms of cost price. Caption: An advertisement posted by Ilford in April, 1953 to promote the Witness camera, urged by the projected demand before Queen Elizabeth II ’s Coronation. 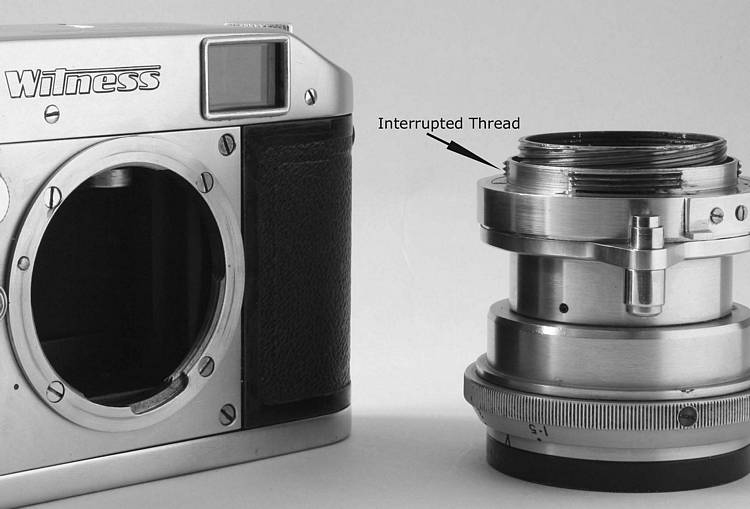 The Ilford Witness did not emerge at the right time – the failure of the rangefinder was confirmed after Leica launched M3 two years after. In 1954, many novel features owned by Witness were no longer considered new or original. The lack of choices in lenses and accessories was another fatal blow. 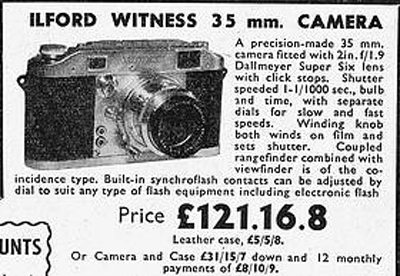 In fact, the Ilford Witness surrendered without putting up a fight – Ilford Witness ceased production in 1953, making only 350 pieces. Frustrated by the high-end camera market, Ilford turned to the production of “Advocate”, a low cost, less complex camera. 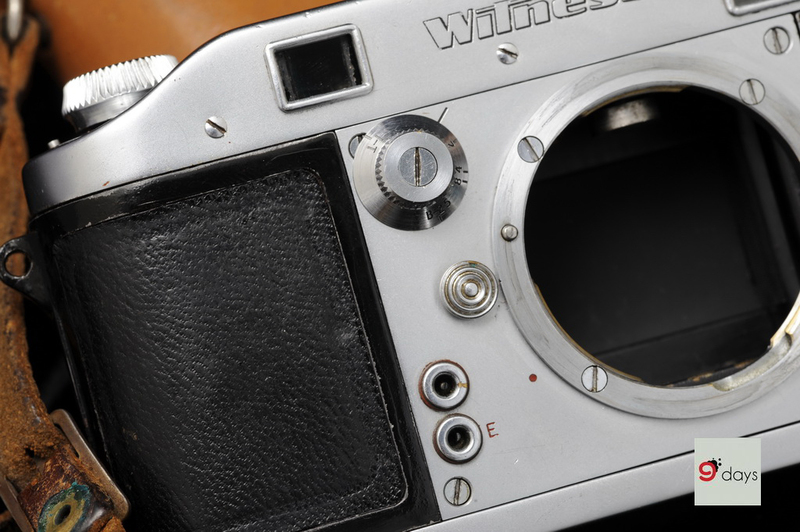 As an attempt to cut loss, Ilford sold the Witness camera at a cut-price of 80 pounds. In a collector’s point of view, Ilford Witness enjoyed a reverse of fortune in recent years. 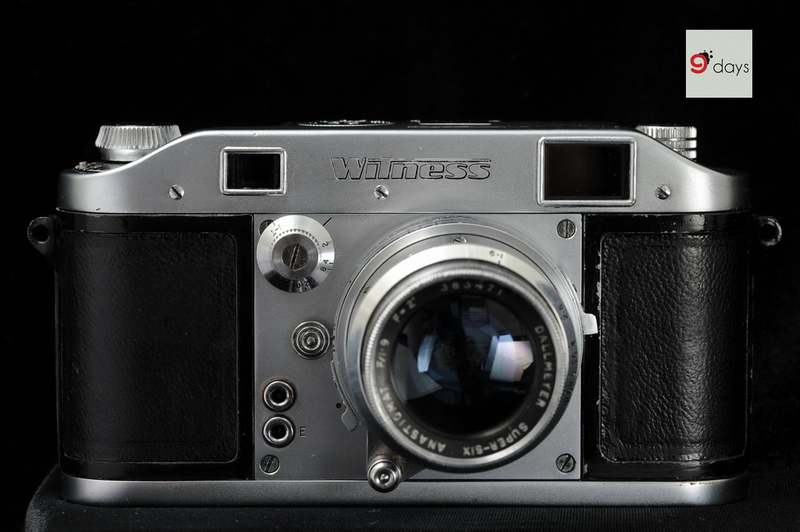 Given the limited pieces in good condition, Ilford Witness became a hot item in memorabilia auctions, making it one of the most sought-after vintage cameras in recent years.